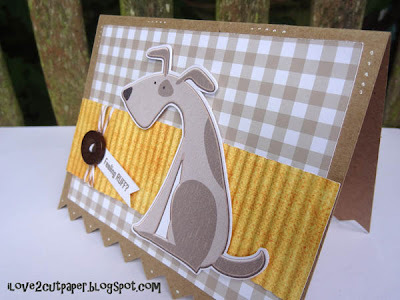 Earlier in the week I found a cute dog graphic that I cut using my Pazzles Inspiration digital cutter. 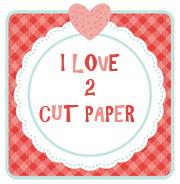 I have used the Print and Cut technique and I can now hold up my hand and say I have mastered it....hooray!! I made my base card using my Pazzles Studio Pro software. I just drew a rectangle and used the scissors (tools) to make the jagged edge to the base. I then used my crimper on the yellow paper that is adhered behind the dog. 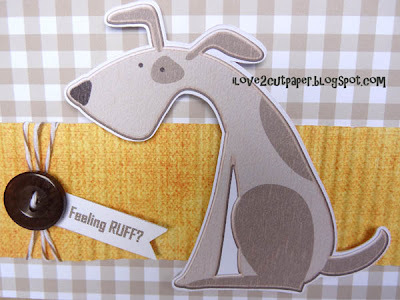 I thought the dog looked sooooo cute and would be perfect for my friend who is not feeling great at the moment. I simply autotraced the image, added an outline and used the print and cut technique. I printed the sentiment using one of the fonts already installed on my computer and then cut the little tag by hand. When you master Print and Cut with your software it allows you to make quick cards and the satisfaction of conquering another challenge with your software! If you are quick there is a link to a couple of FREEBIE graphic files you can grab. Available till midnight tonight MST. love your project. cute and quick. 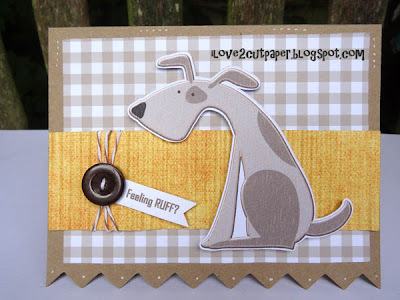 Love the title on this post!Too Cute!Super Cute card! Joanna, your furbaby looks like it actually has fur! :-) What an adorable card. Love it! TFS!